Airbnb was literally the idea of two college students looking to make a little extra cash on the side. They rented out their living room floor, purchased three cheap inflatable mattresses, advertised, and the rest is history. If two college roommates can literally make money from their living room floor with a couple of cheap air beds, any property owners out there reading this can potentially do the same. So if you run an Airbnb property, or you’re thinking of doing so, here are some very useful tips to get you started. 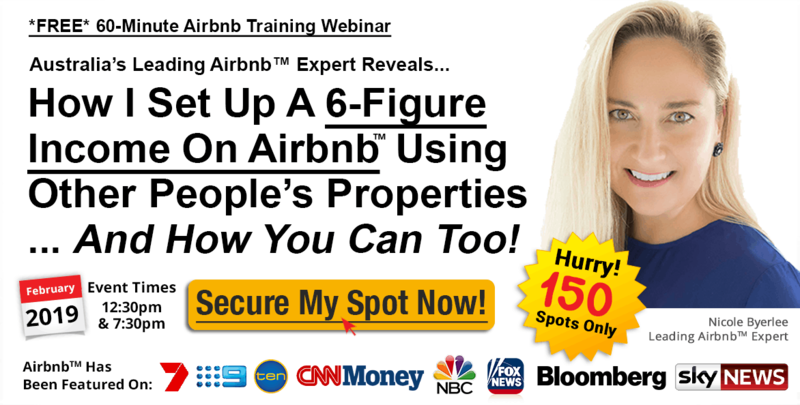 – A lot of people when renting out a property on Airbnb, make the mistake of thinking they can simply list the property/room, take the booking, and then sit back, relax, and earn money from it. The truth is that like anything, you get out of the experience what you put into it. Renting a room/property on Airbnb is not easy. It takes a lot of time and requires more work than a lot of people realise. You have to ensure the property is clean, tidy, and compliant with the ever-changing health and safety laws and regulations. Not only that, you also have to deal with enquiries, process payments, confirm or deny bookings, and deal with any queries or complaints your guests may have. If you do the absolute minimum, don’t be surprised if you receive poor reviews and ratings, and find your room/property vacant for much of the year. The more time you commit to your Airbnb listing however, the more successful you will likely become. – More often than not, when people use the Airbnb site, they are doing so because they want somewhere cheap and affordable to sleep. There are of course some luxurious properties available on Airbnb, but the cheapness and convenience of Airbnb was one of the main reasons why it proved to be so successful. People therefore, are not going to want to spend hours reading paragraph after paragraph about how great the property and the area is. They will however, judge with their eyes and view the photographs. If you simply snap some dull and blurry photos of the property with your phone, don’t be shocked if you aren’t bombarded with enquiries. If you are a capable photographer with a quality camera, by all means, snap some pics yourself. If not, it may be worth hiring a photographer for an hour or two to get the shots you need. – Whether you meet your guests in person or conduct business over the phone or via the internet, you must ensure that you make a good first impression. Be friendly and polite and try to get to know your guests. It might not seem like much, but simply asking them their name and greeting them by their first name will make a great first impression on your guests. The more at ease they feel, the greater their experience will likely be. Not only that, but if you make a good first impression on them, when they leave, they will likely leave you with a good review, and recommend you to others. – The main value is using Airbnb is the fact that people can typically rent properties/rooms for a great deal less than they would pay for a hotel. So don’t expect to get rich overnight with Airbnb, because until you are established, your earnings will likely be modest at best. Some people think that somehow their property will be different to everybody else’s and so they bump up the price. You can charge whatever you like, but that doesn’t mean that people are going to pay. Look at how much others are charging for properties/rooms very similar to yours, and charge accordingly. If you get greedy and try asking for more than the listing is worth, people simply will not use you. – Again, whether you are renting out a property, or a room in your property, one of the best things you can do when it comes to listing on Airbnb is install a secure lock box. This means that you won’t have to wait around for guests to arrive so that you can give them their key, nor does it mean you need to be waiting around for late guests. Simply provide the guests with the code to open and close the lock box, give them any instructions on how to open it if need be, and then simply sit back and go about your day.